Boyce Avenue, a Florida-based band popular for its strong acoustic roots and constant drive toward a melody- and harmony-driven rock sound, consists of the three brothers Alejandro, Fabian, and Daniel Manzano, and Stephen Hatker. i’ll listen to and see Jose Gonzales’ live performance this week. wow, sayang, ang lau ko sa kabihasnan.. 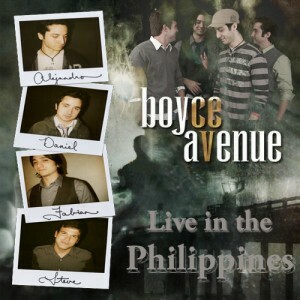 I like their covers of Bleeding Love, Realize, Take You There and a lot more..
yup napanood ko sila ang galing nila……. astig….